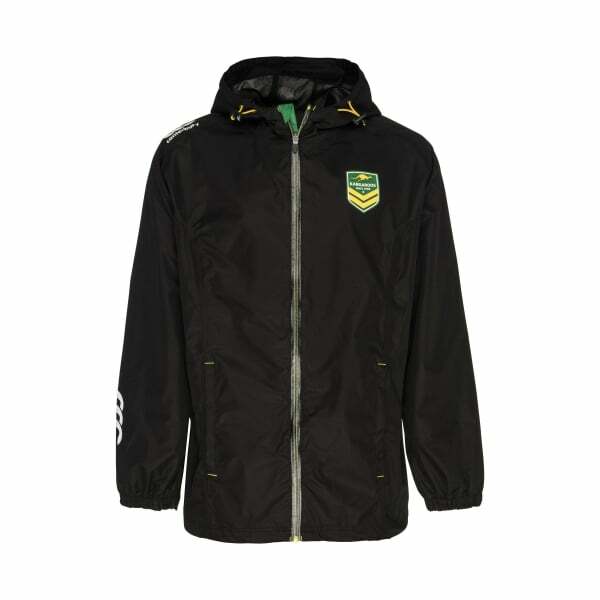 Whether you’re out on the field or sitting in the stands watching a game, our Kangaroos 2016 Replica Wet Weather Jacket is the ideal throw over to keep you warm and dry. This jacket has a waterproof hood and side pockets for optimal comfort and wearability, and is constructed from cutting edge fabric technologies which offer breathability, durability, and practicality. When it’s not an option to let the rain get in your way, our wet weather jacket offers the ideal solution. Designed in stylish black and featuring the iconic Kangaroo logo on the chest, you’ll not only beat the wet weather, but show your support while doing it.